Are you selling your home? Or just want to be the envy of all your friends with a perfectly manicured backyard. 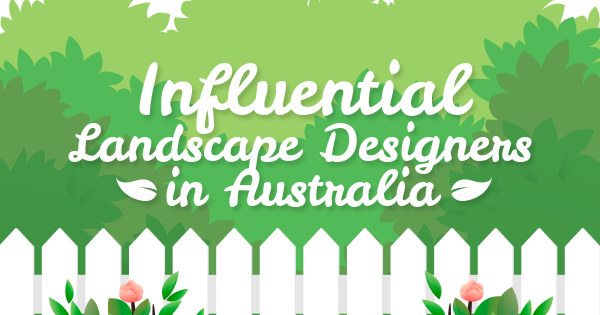 Well, I am going to share my secrets on how to make your backyard look great, without hiring a landscaper. You don’t have to spend a fortune on designing and maintaining your yard, but let your creativity guide you. If you follow these tips, not only will your well-manicured yard increase the curb appeal of your home, make your neighbours jealous but it will also become your natural oasis of serenity and tranquillity. A simple and necessary step that will make your backyard look great and well-manicured is mowing the lawn and trimming the bushes, trees and other plants. I know this seems obvious but its the simple things that count. This step will help you create an atmosphere of tidiness and emphasise the beautiful features of your yard. Trim all the branches and vines and give your bushes a well-structured shape. You’ll probably come across weeds in the process that you need to get rid of. Usually, they can be easily pulled out, but you may come across more stubborn ones typically in your sidewalk or driveway. In that case, you’ll need some additional products at hand to get rid of them. If you don’t have any plants in your yard or if you have just a few, you should add some more. This way, you’ll add life to your yard and create a true natural sanctuary. You can buy colourful flowers, plant trees and even opt for some exotic species. Make sure to place them in a spot where they can get enough sunlight and water them according to the instructions – some plants require less water than others. If you’re on a tight budget, you should consider buying smaller plants because they are less expensive. Another great way to save money is choosing low-maintenance plants that don’t require a lot of water. This will reduce your water bill significantly and you’ll have drought-tolerant plants that will require less tending to. Designing focal points will add character to your yard and create an enticing ambience. In addition, it will help you emphasise a beautiful plant or some other detail. For example, you can accentuate a lovely ornamental tree by surrounding it with edging made of stones. You can even create a lovely pond or a garden fountain. There’s plenty of DIY projects online that don’t require much investment and that will provide you with a step-by-step guide. Adding some colour to your yard will create a livelier and more interesting look. For starters, you should take a look at the wall of your house facing the yard. If the paint is peeling off, you should definitely repaint the wall. However, you can create an amazing effect by choosing a different shade of the same hue or even a completely different colour for that wall. Of course, you should aim for a balanced look, so you should choose a hue that complements the general colour scheme. Another great way to add some colour to your yard is choosing colourful pots for your flowers. This can transform them into stylish accent details that will not only make your backyard look great and interesting. Whether you edge the lawn or flower beds, this will help you add structure and shape to your yard. There’s plenty of different edging styles and materials you can choose from depending on your budget and needs. You should also make sure to choose the edging style that works well with the general style of your home to create a cohesive look. Your backyard should be your area for relaxation, so designing a lounge area is simply a must. You won’t have to spend a fortune on this if you think outside the box. After picking a perfect spot, you should bring some furniture – you can repurpose some indoor pieces or give your old outdoor furniture a new look. You’ll need several chairs and benches and a coffee table. Afterwards, you can introduce lighting fixtures to create a more intimate atmosphere – add several candles, place twinkle light in the trees or use stylish lanterns. A great way to add structure to your backyard is to create a path that will lead to your sitting area. A cost-effective solution is using grass pavers made from durable materials. Pavers will help you stabilise the soil and create a stylish path in your yard. They are easy to install and allow the drainage of water after rain. In addition, you can use grass pavers to create interesting geometric shapes in your yard. For example, you can create a mosaic pattern for your lounge area. In just a few simple steps, you can design and make your backyard look great! You will have a place where you can relax and want to spend time with your family.